Have you been skimping on the history and geography lessons you implement in your sixth-grader’s homeschooling? If so, don’t feel too bad. There are many parents that put these subjects on the back burner. However, now is the time to step up and create a curriculum that’s full of great information and fun. Remember, the right curriculum program for one homeschooled sixth-grader may not be right for another. 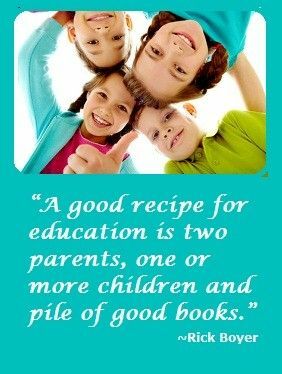 As a parent, it’s your job to do the research and find a program that reaches your student and teaches the lessons in a way they can comprehend and give them the best chance of success. While there are several options to choose from, by learning more about the expectations for sixth-graders, as well as finding out some of the top programs available, any homeschool parent will be able to choose the lessons that best suit their student’s needs. As you can see, the lessons included in a sixth-grade history and geography curriculum offer a lot of options for your child’s education. Additional subjects you teach your child about include current events, economics, political science, psychology, and more. If you are ready to find the right history and geography curriculum for your sixth-grade student, then consider some of the options on this list. This particular program offers a literature-based, creative, visual, hands-on approach that is appealing to students at this grade level. In just a few weeks your student receives an overview of history ranging from ancient times all the way to the present. It offers a great review of all the major eras, events and people. Many homeschool parents find that this is a great introduction to other history studies for the year. 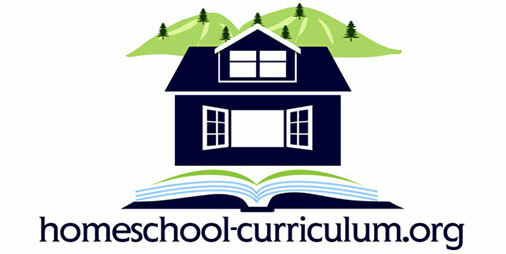 This is a Christian homeschool program and available for grades two through twelve. One of the most appealing factors of the Rod and Staff curriculum is that it’s comprehensive, and it introduces students to vocabulary words that other options don’t provide. Homeschool parents find the materials for this program priced reasonably, ranging from $9.00 to $76.50, based on the student’s grade level. Another benefit of this program is that the student and teacher manuals let the students and the instructors interact with many exercises that are completed orally or written, based on the parents and students’ preferences. This particular lesson plan is Christian based and offers an easy-to-use, Christ-centered, historically accurate series. It features options for all grade levels. The curriculum follows history in the order that it occurred all across the globe. It was created from a Christian world view and weaves various world stories and cultures from the past alongside the events that occurred in the Bible. Mystery of History is written to help spark an interest in young people to learn more by implementing lively lessons, timeline instructions, memory cards, hands-on and research-based activities, mapping work, and semester tests and quizzes. The Story of the World, written by Susan Wise Bauer, is an award-winning resource for homeschool parents who are searching for a truly comprehensive curriculum. It’s told in an engaging and straightforward style in four-volumes that span from ancient times to the present. Students using this curriculum have the opportunity to “travel” to Europe, Africa, China, and the Americas to find out what happened all around the world long, long ago. This is a read-aloud series that’s ideal for parents to share the story of the world’s civilizations with their child. Created by Terri Johnson, this curriculum includes a huge collection of timelines and maps that make great supplemental materials for your other historical studies. The program offers options for both U.S. history, as well as world history. For each major period in history, there are approximately 60 labeled maps, along with an equal number of unlabeled maps, up to five pages of lesson plans, a list of geographical regions, a glossary of terms, and more. This particular program, created by Ellen Johnston McHenry, is another supplemental item that goes great with any history lesson plan. It’s designed for children ages 11 and up, and you can select the activities that work with your other lessons. This program includes grid paper for students to create detailed maps that highlight important events and other things in history, such as political boundaries. This approach helps students actually visualize the physical area where certain events took place. The book includes step-by-step drawings for students to follow, giving them a hands-on, visual lesson plan. Abeka (one of the most well-known homeschooling curriculums available today) offers this lesson specifically designed for sixth-grade students. This particular lesson includes a selective overview of U.S. history up until the election of President Barack Obama in 2008. The text not only includes facts and information, but also colorful illustrations, large maps, and “Geography Fact” assignments that correlate with each chapter. While there are portions of the text that are somewhat lively, others can seem somewhat dry. However, these less interesting portions but may be necessary to fully grasp the concept at large. This series of books is designed for sixth-graders and is a year-long course that’s aligned with the standards set by National Geographic. This includes standards such as learning geography by looking at relationships between places, environments, and people; studying the physical processes that work to shape the surface of the earth; influences on ecosystems; teaching how to read all types of maps; characteristics of regions; the correlation between human activity and geography; and more. This program offers students a more unique approach to the study of world history. While world history is the main focus of this curriculum, it also offers information on world cultures, geography, language arts and more. This Christian based history program is designed to help students travel throughout world history, with a focus on Christian teachings, and the Bible and major events in the Bible that correspond to events in world history. This program offers a four-volume history rotation that begins with ancient history and finishes in the present. It is a favorite option for many homeschool parents and students. While the lesson plans are included in the core price, it is highly recommended that you also invest in the activity books, as well as the reviews included with the lessons, as they provide the students with hands-on learning activities. Often referred to as just “SOS,” the Switched on Schoolhouse curriculum is a literature-based approach to teaching your child history. One feature offered by this program is the ability to highlight the text, which allows a computer or another device to actually read the passages to the student. There’s an included teacher portal, too. This provides a wide array of tools for monitoring your student’s progress according to the lessons. In addition to history and geography, SOS also offers a great science curriculum, as well as elective options. This is available from Geography Matters. It is made up of a series of history books that start with the initial volume – Paths of Exploration. This particular lesson gives an overview of pioneers and famous explorers. Each book dives into a different time in history, giving your student a comprehensive overview of what happened and how the world has been shaped into what it is today. Display maps around your house. When you teach your child to tell time, you likely have several clocks throughout the house, right? You can use the same concept here – but with maps. Put maps in the most used areas of the home to pique your child’s interest and get them excited about learning geography and history. Explore the world from your own living room. If you are like many other homeschool parents, there’s a good chance you can’t take your child to explore the world. That doesn’t mean you can’t show them things from the past and other places. Go online – resources, such as Google Earth and other online programs, make it easy to see things regardless of when or where they are located. Go on local field trips. Are you learning about Native Americans? Visit a local tribe or community. If you’re learning about ancient times, take your child to museums to learn about ancient Egyptians and use the resources available to you to make learning more interactive and fun. Make learning history and geography into a game. Not only can you purchase actual games about history and geography, but you can also make your own, too. For example, “what’s the capital of?” is a game created by a three-year-old! Rather than you quizzing your child, let them quiz you. Believe it or not, they are learning during this process. And, there’s a good chance if you miss something, they are going to remember it – after all, who doesn’t love to feel smarter than their parent? Purchase a children’s atlas (or other similar books). There are countless places you can pick up large, colorful atlases – including at your local thrift store. When you own an atlas and take it out intentionally to look at yourself, you are going to encourage your child to do the same, which will increase their interest in the world – from a new angle. As you can see, there are several options to choose from when trying to select a history and geography curriculum for your sixth-grade student. By considering the options and tips here, you will be well on your way to finding the one that best suits the student’s learning style, as well as your overall educational goals for them. Remember, regardless of what curriculum you opt to use, you may have to make slight changes or alterations to better fit your child’s needs. Don’t be scared to do this, as the more customized you can make the lesson, the more your child is going to be engaged and learn.